Every tavern needs skilled work force to stay in business. Waitresses are an important and visible part of every inn and tavern in the entire continent. 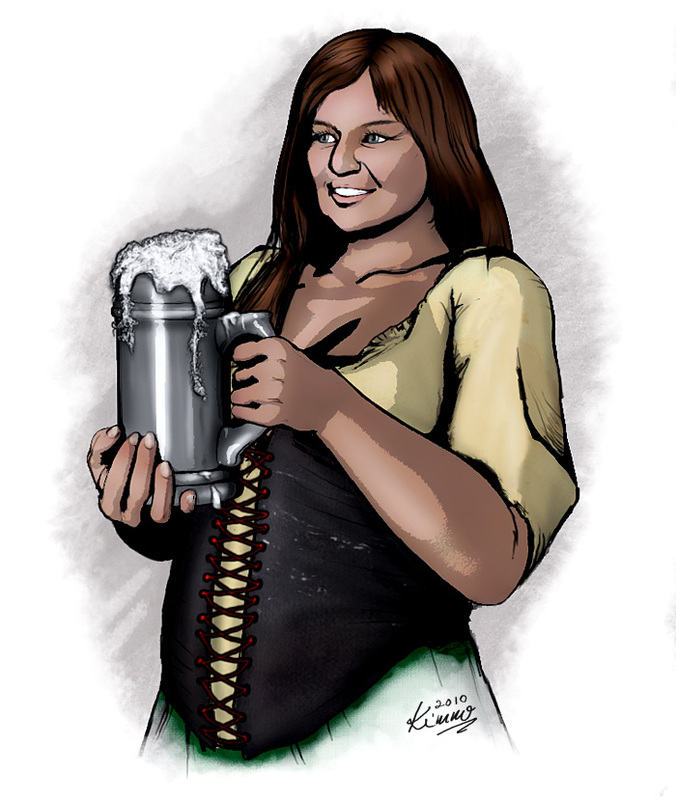 Milja Markovec works as one in the famous tavern The Wyvern’s Nest located in the bustling port city of Port Magalie in Witchlight Strand. She is a valuable source of information since many people seem to find it easy to confide in her; share her their dreams and secrets and shames. Milja certainly is easy to be around and happily engages in conversations with the patrons. She practically lives in the place and many a time can be found there while off duty – singing a rowdy tune or even reciting poetry.